First Netbook. Is Google's Chrome browser enough to be happy in the Web-world? We logged into our Google account. How much Office is actually possible with this browser? Do Google Docs, Picasa and DropBox suffice? Found out in our review. My time with the Series 5 has given me hope for the future of Google’s PC operating system. If you need a secondary computer for use on the go, and you don’t want or can’t afford an ultraportable, this laptop is a great alternative to a Windows netbook. If you simply want a Chromebook, the Samsung Series 5 is clearly the way to go–it's superior to the Acer in every way. Google’s vision for the Chromebook is one that represents a vision of doing away with traditional software for personal use in favour of doing everything on the cloud. SaaS (software as a service) is definitely catching on more as the choices continue to grow, but for many users—especially home users with tight budgets and intermittent Wi-Fi quality—it can be more trouble than it’s worth. The Samsung Chromebook might suit people who frequently need to use a computer while out and about and are confident they will have access to a decent wireless or mobile signal, but it feels unfinished and unpolished. For the vast majority of home PC users, the money will be better spent on a cheap Windows 7 laptop. Chrome OS has promise, certainly. A simple platform for everyday users remains a tempting prospect; unfortunately, those we gave the Chromebook to in order to test the theory generally came back with questions about file support and other issues. In short, the problems had migrated from over-complexity in a regular notebook to under-complexity in the Samsung. We spend a lot of our time in the browser, yes, but not all of it, and ironically Chrome OS does a very good job of reminding us of that fact. If it was priced to suit its part-time companion functionality – perhaps a hundred or so less off the MRSP – then it would make far more sense. As it stands, though, we’d still opt for a regular notebook over Chrome OS. At its price, though, the Chromebook loses its luster; there are just too many things that it doesn’t do, and too few things you can’t get from running the Chrome browser on a regular machine. It’s a good secondary device for a vanishingly small segment of the market (which might include us) but would rank as a tertiary device for most. Sadly the good build, usability, battery life and instant-on features don't do enough to make the Samsung Series 5 Chromebook a device we'd want to recommend. If your computing life revolves solely around the cloud, you might consider it - but only if you are certain you'll never want to do anything locally, and don't mind sacrificing that capability even at a price at which you could easily have both local and cloud-based computing. So that puts it firmly in the category of a fun toy, but not a valuable business tool nor one we think you should spend £400 on. The other catch that will determine whether this is for you is whether you can completely exist in the cloud. If you’re just bumming around the house that shouldn’t be a problem, but if you’re planning on using this on the train, the plane, or on the beach, you’ll have to make sure you’ve got a data package to take with you. Can Samsung’s Series 5 find its niche in a tablet-mad world? At half the price, the Chromebook would be an attractive second PC, something you could let the kids loose on, a useful addition to the table that houses your remote-control collection. But with its comparable levy on your wallet and lack of offline apps, it’s going to be a tough sell. But for consumers, the Chromebook is a rather intriguing creation that's ultimately less useful than you'd like it to be. It needs more than a file manager. It needs five more years of interwebs evolution. As a thin client, Chrome OS is mostly a success; its ability to work solely within the cloud means it's very well locked down, but this also means it's entirely dependent on an internet connection. Without one, its usefulness is currently severely restricted. If these two points aren’t an issue, it is an excellent way to reduce your hardware acquisition and support costs over the equivalent Windows machine, but even so given the current limitations and restrictions in the design of Chrome OS we would think very, very carefully before committing to even a small-scale deployment. Samsung’s Series 5 Chromebook is a strong first offering for the Chrome OS and for many internet-heavy users will satisfyingly fulfil all of their needs, taken out of its web comfort zone, however, and the Chromebook fails to impress. The Samsung Series 5 is an intriguing concept. It's an attractive notebook with a decent keyboard and it's certainly an appealing product, especially if you're a regular user of Google's systems and tools AND you can guarantee that you're always connected to the web. However, the strengths of this product are also its main weaknesses, not to mention the limited 3G data plan. It's tough to review the Series 5 as a standard laptop. Hardware wise, the design and build quality is excellent. The keyboard and trackpad put those found in similarly priced machines to shame. The 12.1" matte display is far easier on the eyes than most of those low-quality glossy panels that have become almost ubiquitous on the market. 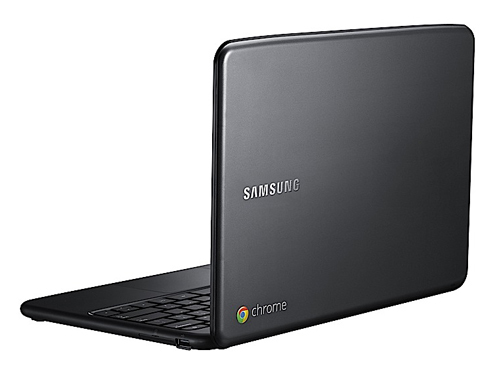 The Samsung Series 5 Chromebook is the first laptop to use Google's Chrome OS operating system. 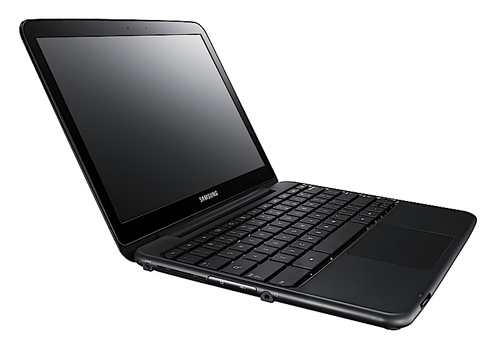 The Samsung Series 5 Chromebook is a well-built, adequately powered laptop that's small enough to carry anywhere. Its browser-based Chrome OS and total dependence on a Web connection definitely won't appeal to everyone, though. Right now, though, the applications simply aren’t there to support the Chromebook – and nor, arguably, is the network coverage. In a year or two the Chromebook could make a very attractive personal computing platform, but for now we’d recommend you hold off. With a few choice upgrades and a lower price, Chromebooks could be a hit. 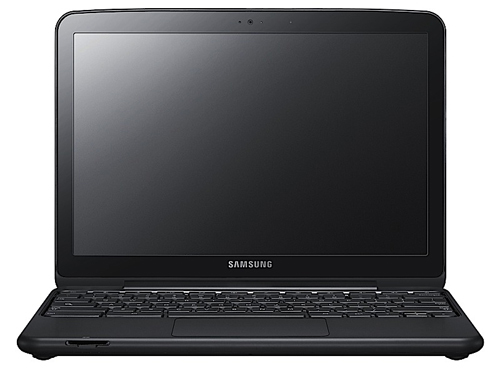 But at the moment, on the evidence of the Samsung Series 5 Chromebook, they still have a way to go. Is the world ready for a computer that relies entirely on the Internet for every function? We approached the first Chromebook full of optimism, but the answer is a definitive “no.” Samsung’s Series 5 comes with the price tag, weight and occasional unreliability of a true PC, but none of the power or flexibility. At best, the Series 5 makes an interesting companion to your primary computer. It could be the machine that you take with you to the coffee shop when you don’t want to lug a full sized notebook. It might even be feasible to use a Chromebook like the Series 5 as your only laptop if your primary machine is a desktop computer. But for $430 and up, I’d expect a user experience that’s undeniably better than what you get from a $300 netbook and unfortunately that’s not something this laptop offers. Given the time an average user spends on the Web, it would seem to make sense to have an operating system that's rooted there. The Samsung Chromebook Series 5 is certainly a fascinating approach to computing, one that may actually be widely adopted further down the line—way, way down the line. Had it followed the $199 pricing model that Google had originally planned, the lightning fast boot times, never having to worry about losing files to a hard drive crash, and long battery life would have been slam dunk selling points. Unfortunately, Samsung is selling a netbook with an incomplete OS with a higher price tag than netbooks that run on Windows 7, making the Series 5 very difficult to recommend. You're better off with the HP Pavilion dm1z. Which gets at the heart of the device’s utility, and Google’s vision for us: simple, stripped-down browsing driving the majority of our computing experiences. For that purpose, but for that purpose alone, the Chromebook is a worthy vessel. We keep seeing people comment that the Samsung Series 5 or any other Chromebook will be a good choice for nontechie people. Maybe eventually, but today there are just too many holes in the experience. Plus, trying to explain to nontechies that everything they do is now online and asking them to trust that it'll be there whenever they log in might not be that easy. Assigning a rating and verdict to the Series 5 is no easy task -- after all, it's difficult to divorce our impressions of the first consumer Chromebook from our broader thoughts about the category. We'll start with the obvious: Chromebooks are not for everyone. If you're thinking of buying one, you're likely part of a self-selecting group of folks who are confident they don't need local storage -- at least not in a mobile machine like this, which could well be a secondary computer. We like that the stability issues (namely with Flash support) in the Cr-48 have been fixed, but the Chrome OS still feels like a work in progress. The Series 5 is great for watching video, playing casual games, and doing light tasks such as creating spreadsheets and documents, but it really can't handle much more heavy lifting. A fast boot time and bookmarks masquerading as apps can't make up for the fact that we can't use Google Docs offline, we have to hunt around for our local files, or that the Series 5 can only deal with one peripheral at a time. 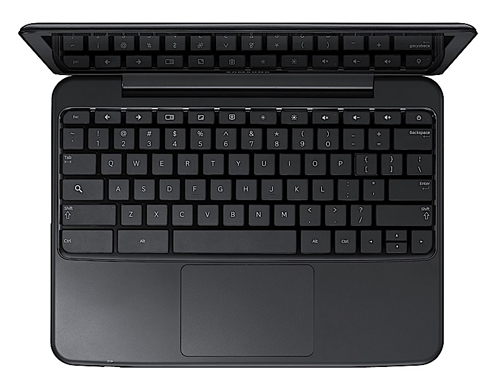 Consumers looking for an ultraportable system under $500 would do better with the AMD-powered ASUS Eee PC 1215B ($439), or its Nvidia Ion brother, the 1215N ($469), which offer much better performance and a full Windows operating system for around the same price. Ultimately, the whole Chromebook experiment feels like it's just a couple years ahead of its time. There may come a day, sometime in the not-too-distant future, when web applications have the power and sophistication necessary to really replace most of what you do on a computer. Together with even more powerful, affordable, and energy-efficient processors, cheaper flash memory, and a handful of major revisions to the Chrome OS, a computer built to run a web browser and little else might make sense. Until then, there are plenty of Windows-based laptops in the £350-£400 range that may not have the sleek look of a Series 5 Chromebook, and may not boot up as quickly, but offer such vastly superior functionality that I can't imagine recommending a Chromebook instead. For now, laptops based on Chrome OS feel like a novelty for tech enthusiasts. Even Android 3.0 tablets feel more powerful, flexible, and useful. Ultimately, this whole experiment feels like it's just a couple years ahead of its time. Sometime in the not-too-distant future, a day may come when Web applications have the power and sophistication necessary to replace most of what you do on a computer. Together with even more powerful, affordable, and energy-efficient processors, cheaper flash memory, and a handful of major revisions to the Chrome OS, a computer built to run a Web browser and little else might make sense. Until then, you can find plenty of Windows-based laptops in the $430-to-$500 range that may not have the sleek look of a Series 5 Chromebook, and may not boot up as quickly, but offer such vastly superior functionality that I can't imagine recommending a Chromebook instead. For now, laptops based on Chrome OS feel like a novelty for tech enthusiasts. Even Android 3.0 tablets feel more powerful, flexible, and useful. Leave it to Google to create an entire new class of mobile-computing products—and no, we’re not talking Android phones or tablets. We mean Chromebooks. The Chrome OS–based Series 5 has a super-quick boot time and long battery life, but only those willing to live exclusively in the cloud should even consider it. The Samsung Series 5 is an intriguing concept. It's an attractive notebook with a decent keyboard and it's certainly an appealing product, especially if you're a regular user of Google's systems and tools AND you can guarantee that you're always connected to the web. However, the strengths of this product are also its main weaknesses and Google's stingy 100 MB storage offer isn't particularly impressive. 62.51%: Such a bad rating is rare. There exist hardly any notebooks, which are rated worse.